Sweet kelp and dulce is a good source of minerals and vitamins compared with other vegetables. 1 x Mix Bag of Organic Sweet Kelp and Dulse Flakes 35 grams. The seaweed granules can be used as a flavour enhancer or as a salt replacement, it also can help lengthen the shelf life of food. 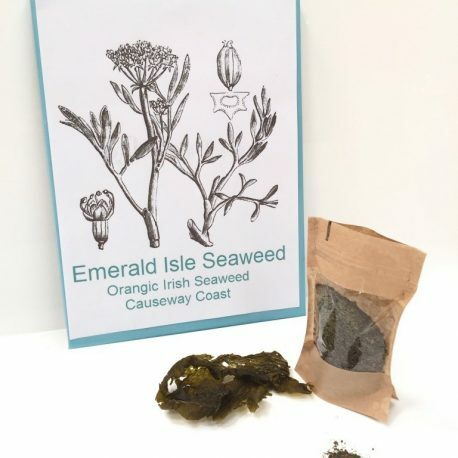 A great way to add seaweed in practically anything savoury you eat. Sweet Kelp Saccharina latissima is a yellowish brown colour with a long narrow, undivided blade that can grow to 5 metres (16 ft) long and 20 centimetres (7.9 in) wide. The central band is dimpled while the margins are smoother with a wavy edge. The frond is secured to the rock in the intertidal and sulittoral zones by a claw-like holdfast and a short, pliable, cylindrical stipe. When dry the colour will be a dark yellowish brown. The Sweet Kelp contains a natural sugar content which can be seen on the surface of the plant. “Like all sea vegetables, kelp provides minerals found in sea water, especially iodine and trace minerals that may be leaking in our depleted soils. 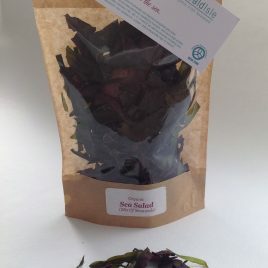 For Westerners unaccustomed to including seaweed in the diet, a small daily supplement of kelp, in tablet or powdered form is agood idea, but don’t overdo -excess iodine may also cause thyroid problems.” Sally Fallon and Mary G Enig PhD ; Nourishing Traditions Cookbook. 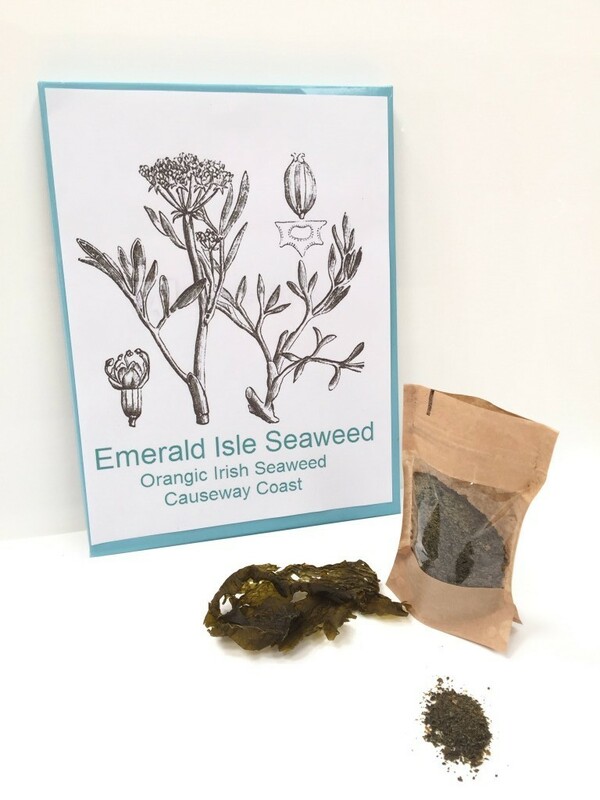 The seaweed flakes can be used as a flavour enhancer or as a salt replacement, it also can help lengthen the shelf life of food. Seaweed is a good source of minerals and vitamins compared with other vegetables. Contains all trace elements needed by humans, and has a high protein content. 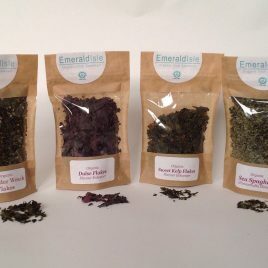 The seaweed flakes can be used as a flavour enhancer or as a salt replacement, it also can help lengthen the shelf life of food. Grow herbs. Get herbs. Use herbs. Have them instead of salt. In processed food there’s a load of salt, but in fresh cooking you can replace it with herbs for seasoning. 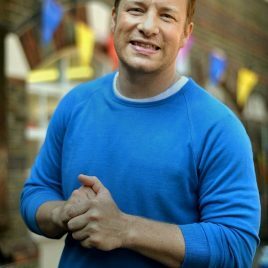 He added: ‘I thought seaweed was hippy, globe trotting stuff but our ancestors ate seaweed. It’s got a load of iodine and it’s the most nutritious vegetable in the world. I’m saying lose it in a minestrone because that stuff is really, really good for you. It’s like dynamite – fibre, nutrients, all the minerals, aids digestion – unbelievable.